I had no idea that women’s golf (girlfriends golf, as I like to call it) would become such a huge part of my life. I was 39 and had never played organized sports (or even unorganized sports) and I had no idea what to expect. My girlfriend Jane insisted I had to at least take a few lessons to try it out. I had no rhythm, no athletic swing, no focus, and no confidence that it was ever going to get better. My first two years were probably harder for me than for most women because I am not naturally athletic, and I have ADHD, which makes it difficult for me to stay focused while listening to an instructor tell me how to swing. My mind wanders very easily, and hearing about swing planes and shifting my weight was just not registering in my mind. My girlfriend Jane hung in there with me, though. 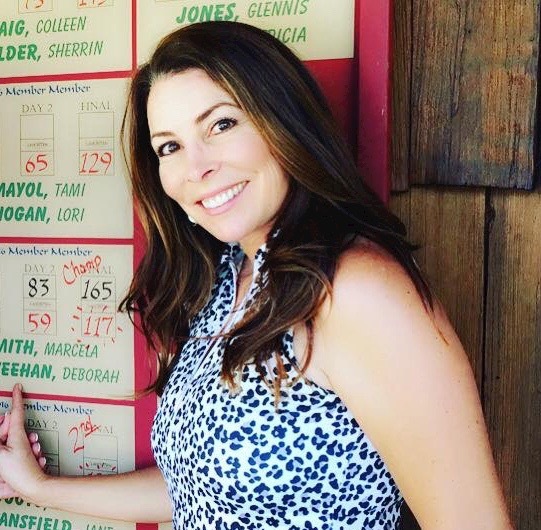 Even though she was a 16 index (a pretty decent golfer) she put up with all my missed shots, and the almost six hours it would take to get through 18 holes with me. What a saint! She wasn’t my swing coach, but she did teach me the etiquette and rules I needed to play golf. Wearing our GGbue team uniforms for a ladies guest day. I’m known amongst my friends as a “rules aficionado” (yes, that’s the polite way of saying it). I’ve attended and hosted many golf rules seminars, read the official golf rules book, and study videos on golf rules. So I launched this blog and my classes to “pay it forward” to the Janes of the world. 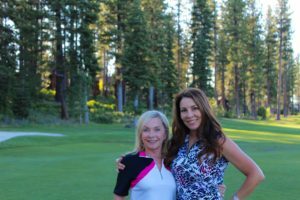 I’ve had the benefit of some extremely patient friends and coaches, and I’d like to share what I’ve learned to help other women learn and enjoy the golf lifestyle. 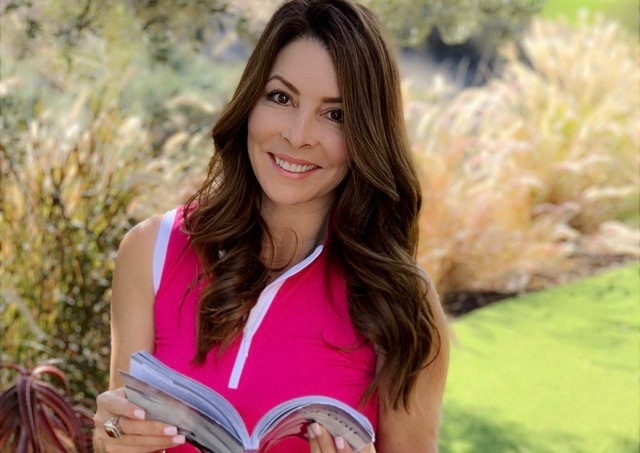 Email me to set up a Ladies’ Beginners Golf Rules & Etiquette Seminar at your club. 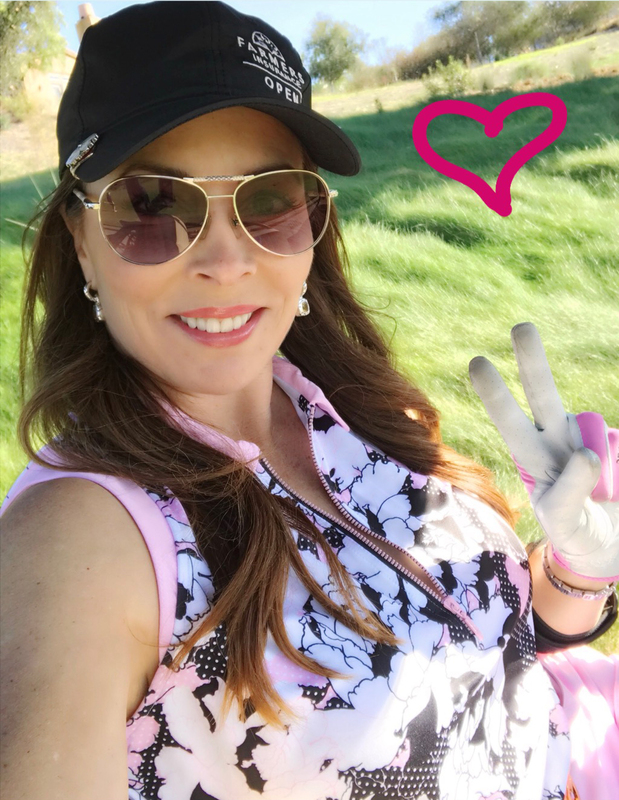 If you’ve been bitten by the golf bug like I have, follow me here for what I can guarantee will be an informative and fun experience for all of us! Don’t forget to check out my Instagram for golf style and travel!